For one U.S. city located on the West Coast of the United States, public transportation is continuing to rise. When a public transportation company was planning an additional line for the light rail, they contacted Comtrol and purchased the RocketLinx ES7528 PoE (power over Ethernet) switch. 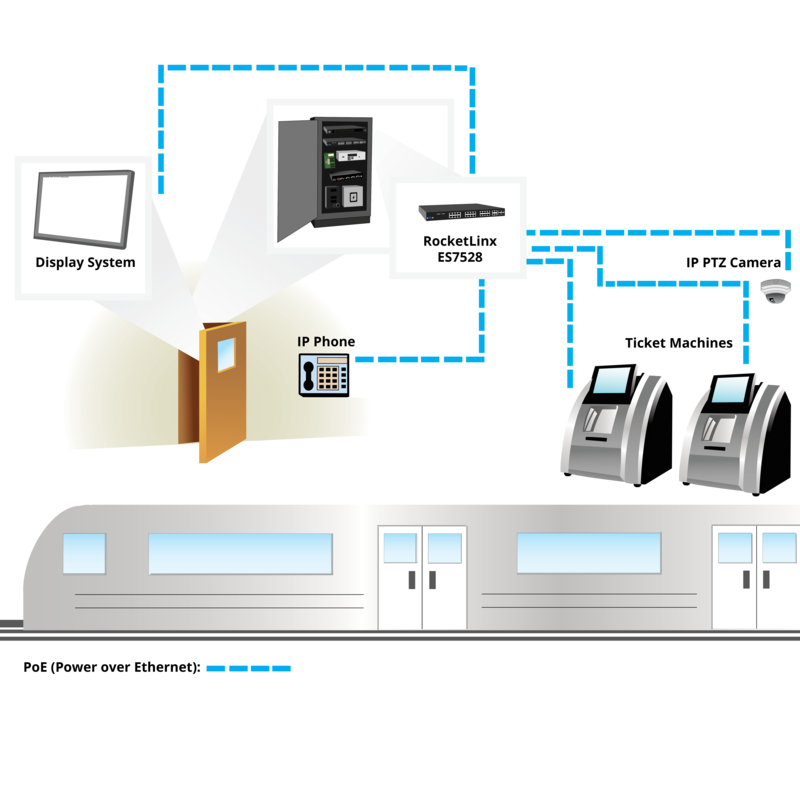 With Transit Surveillance Powered PoE, the RocketLinx is able to provide power to the IP cameras, IP phones, ticketing machines, and transit displays located along the platform. The ES7528 is built for industrial use and can withstand the constant vibrations expected at a light rail station. In addition, it’s built to operate in temperatures ranging from -25°C to 65°C, making it the optimal solution for this light rail line.